Forty-two acts will compete at the Eurovision Song Contest 2017 in Kyiv, but there can only be one winner. To help you make an informed decision about where to cast your vote, the Wiwi Jury — our in-house panel of music un-professionals — has previewed and reviewed each of this year’s acts. It’s hard work being honest, but somebody has to do it. Our jury consists of 38 jurors who hail from Australia, Bulgaria, the Czech Republic, Finland, Georgia, Greece, Iceland, Ireland, Kosovo, Malta, Morocco, the Netherlands, New Zealand, Norway, Poland, Portugal, Romania, Russia, Serbia, Spain, Sweden, Ukraine, the United Kingdom, and the United States. We are truly international, y’all! Reviews were made in March 2017 and are based on available versions of the songs at that time. As always, Wiwi Jury reviews will not be changed to reflect new information from pre-party performances or the Eurovision rehearsals. Highest rated entry that didn’t qualify is Macedonia and lowest rated entry that did qualify is Croatia. Has anybody tried this yet, before the contest begins? A lot of overrated countries, starting with Italy. Good song, but no winning material in my opinion. No comments for Belgium, FYROM, Bulgaria, Israel, Sweden. They are all pretty banal entries. Pleasantly surprised to see Finland so high (possible winner in my opinion). Most underrated are Romania (maybe split reviews) and Croatia. Anyway, it’s not a prediction, I don’t think that the results in the show will come close to the Wiwibloggs’ Review. Secondly, I recollected (and cleaned up, #typoking speaking) the comments/reviews of my own, you may look at them here! Hope you have a blast in Kiev! And the situation is living up all the time. It’s going to be hard to decide who’s getting my humble vote, it will be just one televote from me this time. Scores of this year remind 2012 for wiwi, excluding fact of having significantly lesser number of juries back then. 2012: 1 9.0+ ranked and 2 above 7.5. And Gabbani is still closest to Euphoria by rank here (8.96 against her 9.25). So after 40 songs and 3 left, the U.K. is the baseline. I’m guessing Belgium is going to be over an 8, FYR Macedonia is between 6.5-7, and Lithuania…. eek. And now that Serbia is out of the Wiwi Top 10, Finland is more than obvious it will be out of the semis based on my theory. Finally, Belarus is out of top 10… Undeserved and unjustified rank, that’s simply too high for such a common song. Others are outrageously low (Romania, Ireland, Georgia…. Even for Portugal, Bulgaria and Poland I had expected higher verdicts). But things will be totally different in Eurovision, thank God! Oh my god, whos votting here? Who are the experts votting here? Shame wiwi dont são please this is a wiwi votting. No experts – the Wiwi Jury is our in-house panel of music unprofessionals. We’re just Eurovision fans! Just for fun, let’s try to predict the score for remaining 7 songs. The results are announced in a special order, as determined by the Wiwi Jury Editorial Board. I wasn’t *that* far off with Italy, Estonia and Ukraine either, though. I am really interested in the results for Belgium, Macedonia and Lithuania. There’s always at least one song that finishes in the top 10 on Wiwi reviews but fails to make the final. Depending how Belgium, Italy, Estonia, and maybe FYR Macedonia scores, I can see either Finland, Israel, or Serbia being out. Also, Portugal is rank too low! ???? Portugal 17th? Norway 19th? Netherlands 23rd? And they will be even lower after all the reviews are done. This is really sad for me, particularly because Wiwibloggs is my favorite medium covering Eurovision. I really hope this doesn’t reflect on the live shows results. … However, I’m happy for Belarus, Finland and Hungary. Whatever. Antranig, Sami and Tobias will always hate Portugal, and I mean the country, not the song, I doubt the later 2 even listened to it. Is it a hated song by many? Yes, Chris proves so. But these 3 are just pathetic. They are clearly biased by the country that sends the song. You will defend them Robyn but at this point it’s obvious what I say is true. DiHaj, BE PROUD! As much as I LOVE Sweden this year, it excites me that such a diverse musical panel has ranked Azerbaijan so highly. I would not be mad at seeing Eurovision 2018 in the Baku Crystal Hall! Finland, Belarus and Austria in top 10? Give me a break… Also, Portugal, Poland and Romania are too low rabked. We all know things will look entirely different in Eurovision. Belarus, Finland and Austria won’t even qualify, we shall see…. …that you were wrong 😀 And we shall see too, that POR and FIN are in top 12 in the grand final. You see, your taste is not the same as all the 100 million voters. Finland, Bularus and Austria are amazing and deserve Top 10. Is it possible that future jury can come from Asia, the Philippines to be exact. That was 3 months ago, UMK. A song can grow on someone or then it lose its charm, either ways. Well we’re still waiting on Lithuania, so clearly not. Lithuania is actually my winner. Indeed. Methinks they might be predisposed to punishing Ukraine for all that has happened over the last month. I happen to think that’s what the writers at OikoTimes did when they put O.Torvald last on their scorecard. They definitely don’t have a winner, but they are not THE worst. They are my #34, after my 2nd evaluation. I wouldn’t think so. The blog separates music from politics, or else they wouldn’t have given Russia their top points last year. I mean the best songs overall. They were still to be reviewed. Finland and Serbia! Like like like! I wonder how Germans (who paid a fortune to a stolen song) feel about you ranking their very own Ralf Siegel above Levina’s perfect life? As a german I’d prefer everything over Siegel, I like him for countries like San Marino but thats it. Damn. This year is rather drab looking at the scores so far. Is any song worth an average over 8? I think that since there’s mory jurors this year, it’s tougher to get a higher score. There it is! Italy coming in red hot! Considering the number of jurors, 8.96 is phenomenal. I wonder if any other song can get above 8. Belgium, maybe? Guys, I’m gonna give y’all a clue as to how the jury results will go. The UK is approximately the middle score. That is, about half the scores will be above it and the other half will be below it. Speaking of the U.K. score, who would’ve thought 2 years ago that Wiwibloggs would rate the U.K. above Norway, Russia and Greece? On another note, there isn’t a link to Armenia’s jury review. Just thought I’d give you a heads up. I’m really enjoying this, I can’t wait to see Portugal, Italy, Bulgaria, Finland and Hungary’s results. Great job Wiwi! Keep going! Srsly Sweden first? I mean… it’s such a trashy cheesy pop song, annoying as hell. Wow. And Montenegro so high? You’re kidding, right? The Wiwibloggs team have raved about Italy, Belgium and many other songs yet to be officially reviewed by their jury. 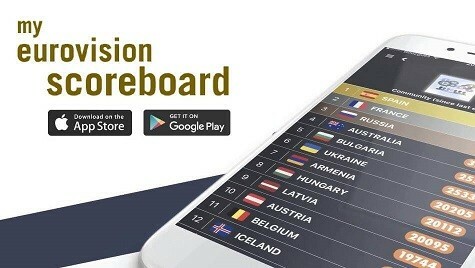 I don’t think Sweden will top their scoreboard. I think “Lights and shadows” is bring something new and special in eurovision now days. Robyn, I couldn’t have said it any better. My reaction to Lithuania’s song: Neh neh neh neh neeeeeh neh! !